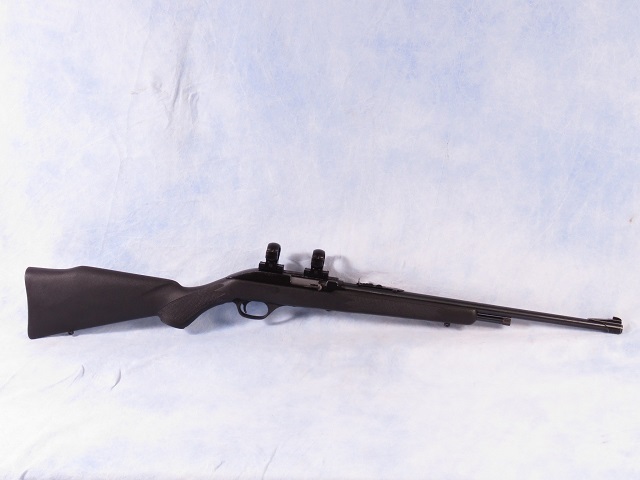 Marlin model Glenfield 75 semi-auto rifle chambered in .22 LR. Traded for another rifle, this light weight plinker is a neat litlle gun. The magazine is a tube, loaded from the muzzle end - similar to a Marlin 60. The barrel length is 18" and the LOP is 14", making this a nice shooter for small frame folks. Has the original factory iron sights and a grooved receiver for an optic if you choose. Condition is very good, with just some edge wear on the finish.